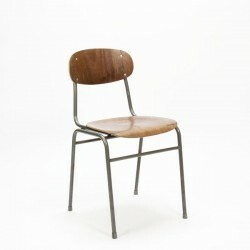 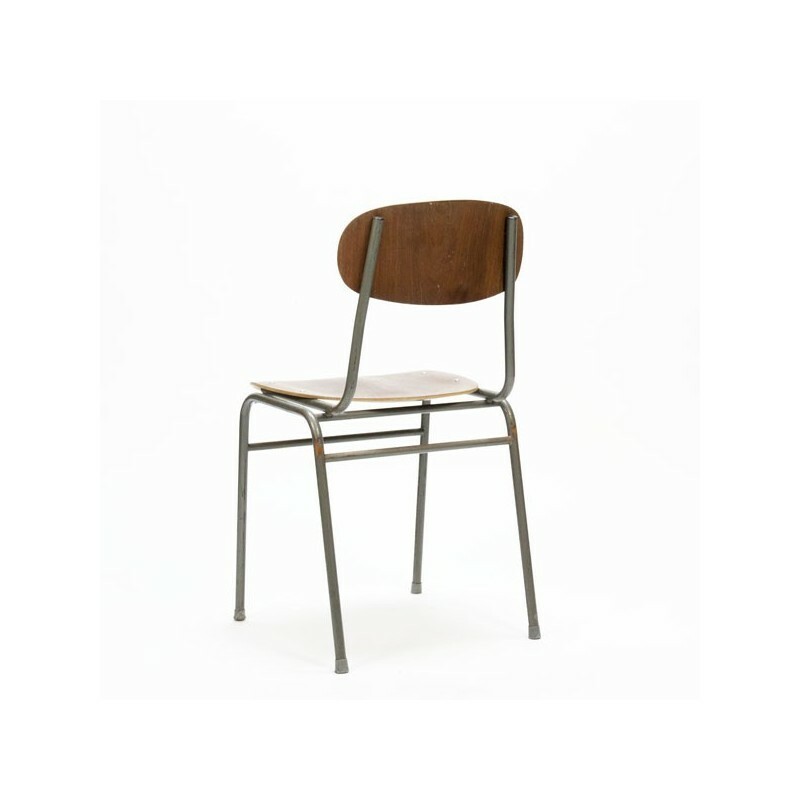 Vintage chair from Denmark with an industrial look. 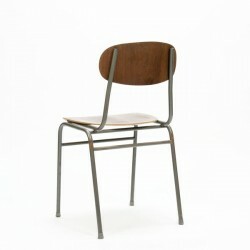 The chair has a grey colored frame and a plywood seat. 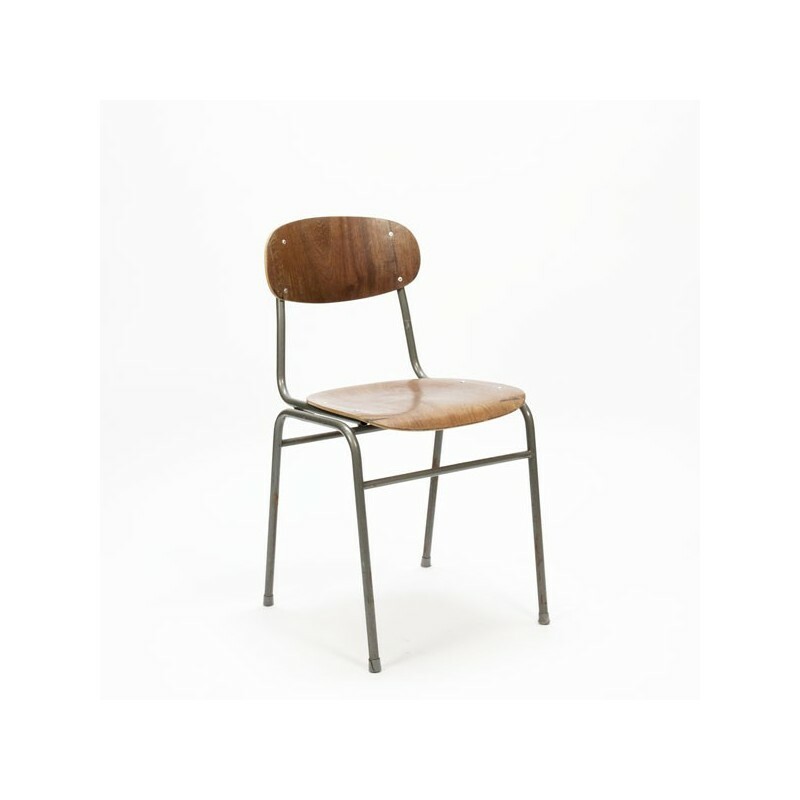 The condition is fairly good, there are traces of use. The dimension is 43 cm W/ 48 cm SH/ 81,5 cm H.